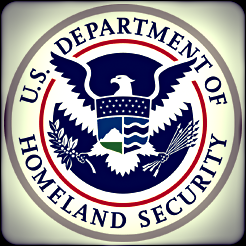 The Department of Homeland Security Office of Inspector General (DHS OIG) has issued a stinging report, "New York's Management of Homeland Security Grant Program Awards for Fiscal Years 2010-2012", on the use and misuse of terrorism grant funds provided to both the state and city of New York. Nearly three-quarters of a billion dollars ($725 million to be exact) was granted during the three years covered in the report by the Federal Emergency Management Administration (FEMA), the DHS agency responsible for administering the funds. Of that, the OIG has questioned disbursement of $67 million, more than 9 percent of the entire amount. It seems that the New York state and city agencies responsible for administering and redistributing the funds (mini-FEMAs, if you will) did not take steps to ensure that the use of the funds matched the purported purposes, and in some cases didn't even execute agreements with the receiving agencies (or municipalities, in the case of the state) so that there could be clear accounting of what was being provided, or why. In many instances, it took well over a year (in a couple of cases, nearly two years) for the state and city agencies to provide funds to sub-grantees, although federal law requires re-disbursement of at least 80 percent of received monies within 45 days. This suggests that there is massive disorganization in the way they solicit grant proposals and between solicitation and disbursement. Even more egregious, the State University of New York (SUNY) cannot account for $2.98 million of the $5.5 million allotted to it by the state — and OIG auditors were unable to connect SUNY's expenditures with any services they agreed to provide. And in the case of the Fire Department of New York (FDNY) — the same generous folks who gave the owner of their headquarters building a federally funded generator — misuse appears to border on criminal fraud. For example, OIG found that FDNY was given over $123,000 to purchase seven critical-incident radios. When asked, FDNY could only produce one, uncharged and useless. Records reflected four more had been disposed of as "obsolete" even though they were purchased new and were less than two years old. Further tracking showed that despite the "disposal" records, the four had been swapped for two that had not been approved for purchase. The remaining two of the seven were allegedly at the manufacturer for "testing". I don't fool myself into believing that these exposés will result in withdrawal or future denial of New York counterterrorism grants. The city and state are too important, their political leaders too powerful for that to occur. But have they no shame? Do they think themselves immune to scrutiny? It's well to remember that there is no infinite well of federal counterterrorism money administered by FEMA; it's a finite amount, and each dollar given to someone is money that is denied to someone else. It's time to hold grantees accountable and put their feet to the fire, or else take the logical position that if they are going to squander the bucks, maybe, just maybe, some other deserving jurisdiction is ready, willing, and capable of handling and spending the money for the reason it's given: to protect the homeland against terrorist threats.